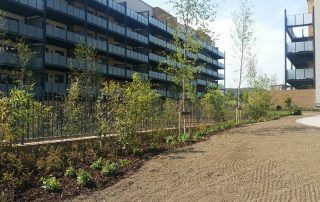 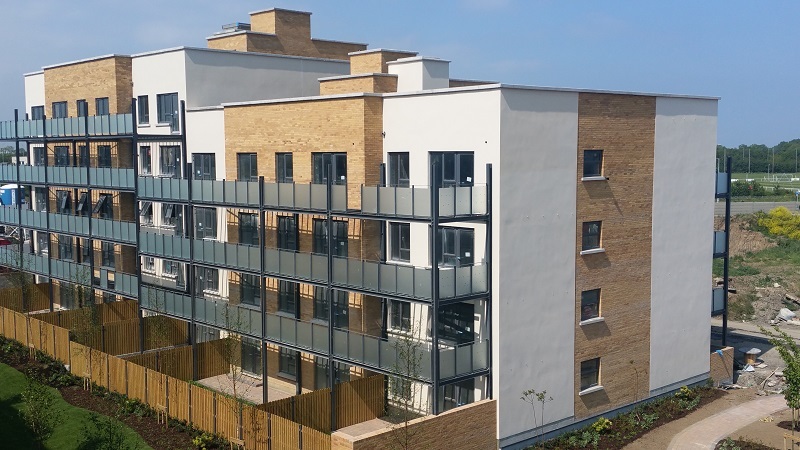 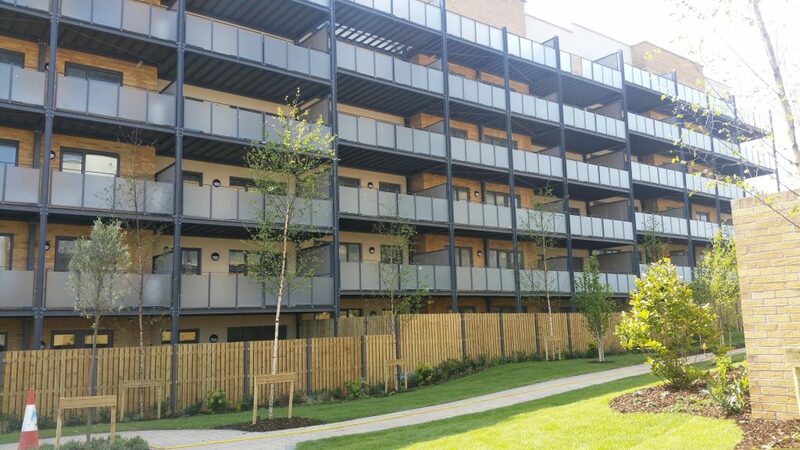 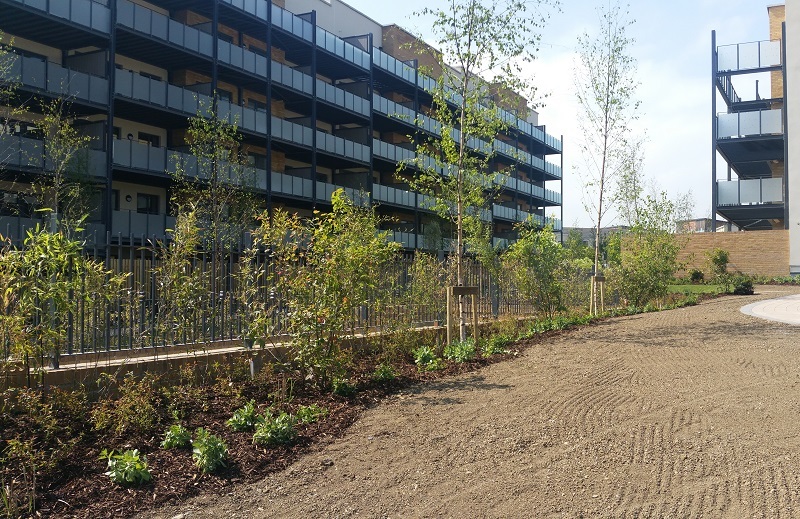 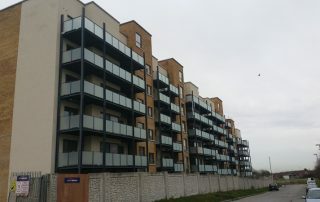 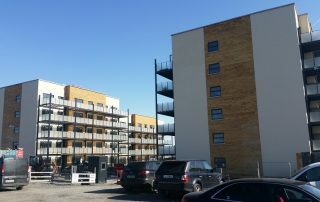 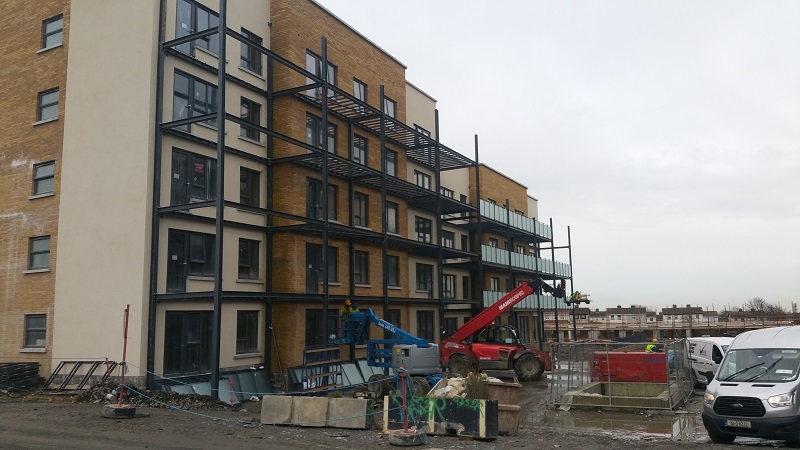 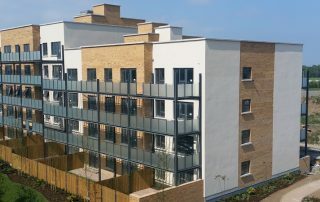 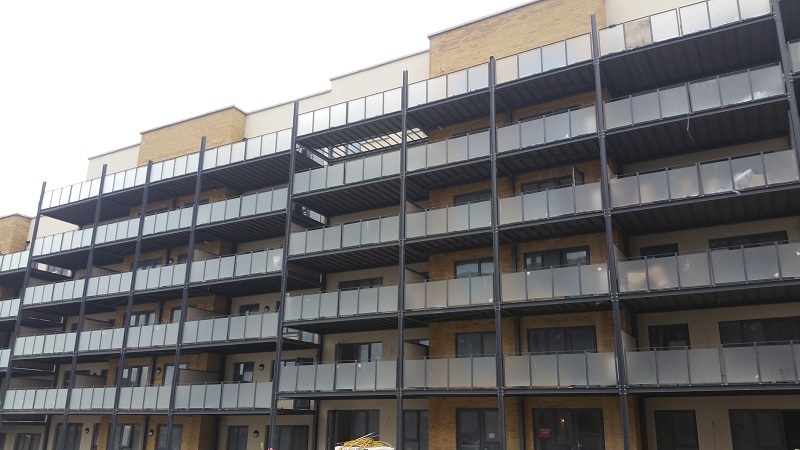 Hot Dip Galvanizing, combined with Galco’s Galvacoat paint system was the perfect way to protect and finish the 400 balconies and railings on Dwyer Nolan’s new development at Hampton Wood. 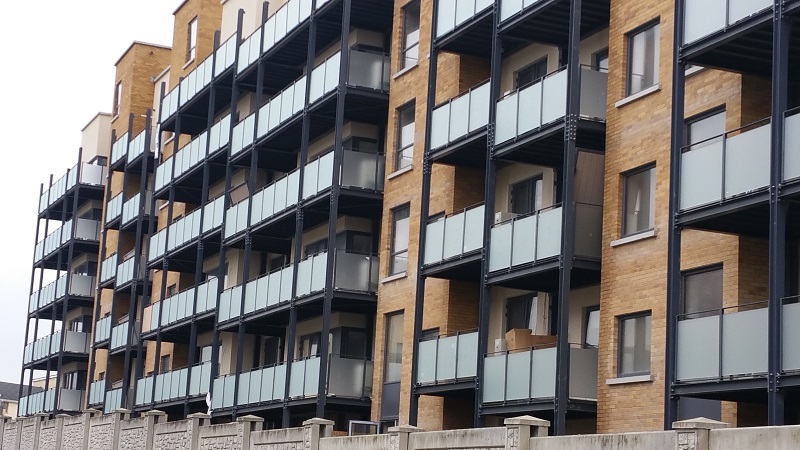 The challenge for Pat O’Gorman & Associates and Kevin Cassidy Engineering was to design these balconies in such a way that they were easy to fabricate, easy to galvanize and paint and easy to erect on site. 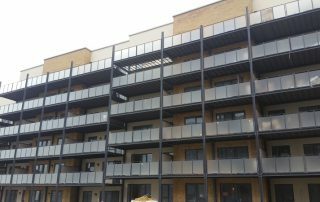 It was also critical that they provided a safe and rustproof structure with a long, predictable life. 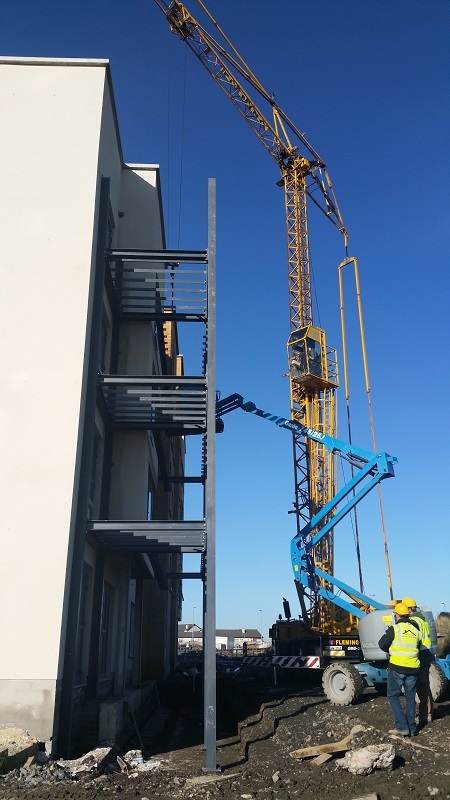 By designing them in a modular kit form they were able to fulfil these requirements and use lighter lifting equipment to gain access to a restricted area over the underground car park. 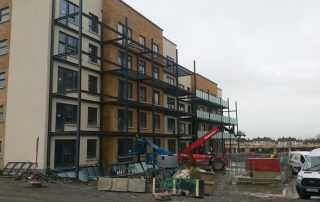 Following fabrication the kits were delivered to Galco for Galvanizing. 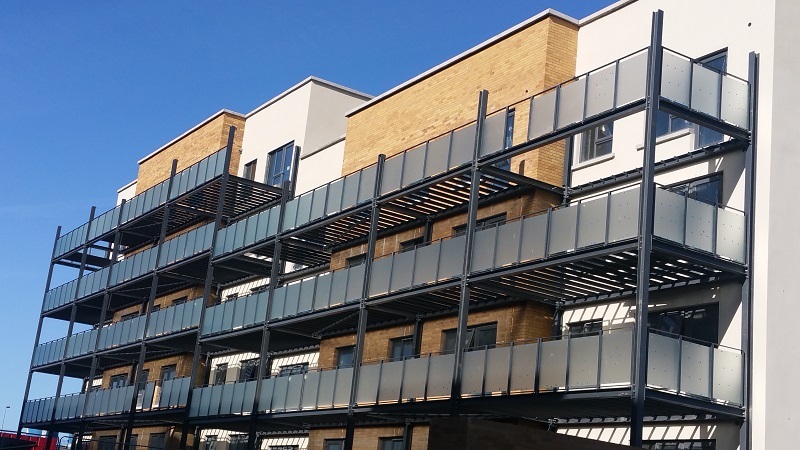 This ensures that the steel is protected from corrosion for a minimum of 60 years and is a key safety feature in the design. 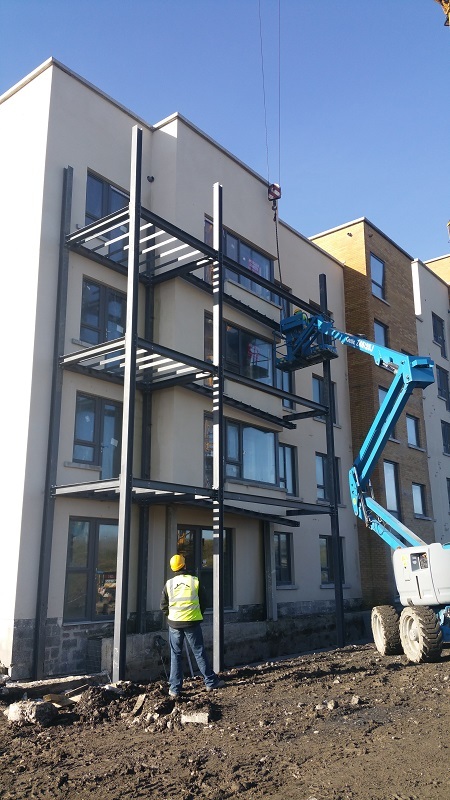 Kevin Cassidy: Some of these items were too large for powder coating and we found that the Galvacoat paint was very durable for handling and easy to touch up on site. 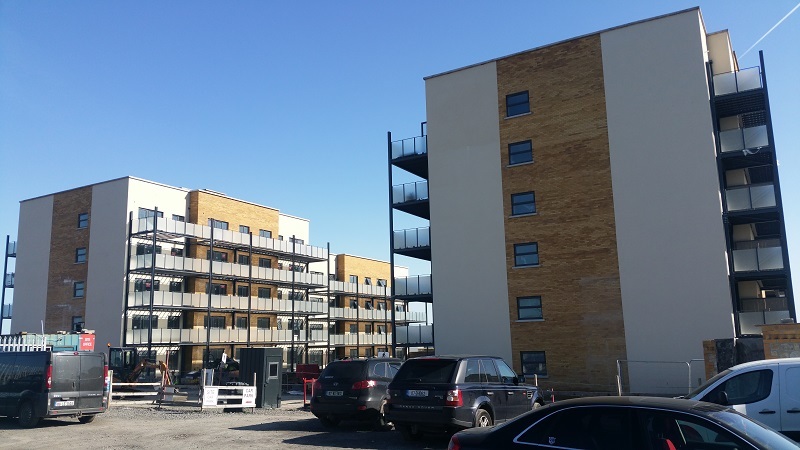 In order to match the palette of an urban environment they were then painted with Galvacoat, a tough 2-pack polyurethane paint specifically developed to adhere to fresh galvanizing. 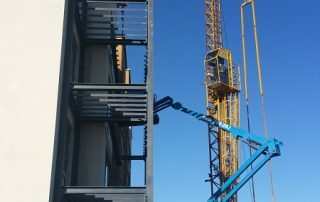 Galco has been painting galvanized steel for 20 years now and this system is in use throughout the country in many applications. 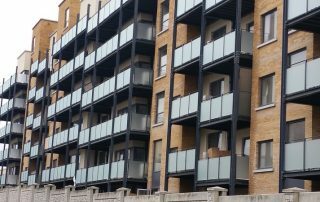 This paint system will deliver in excess of 15 years life to first maintenance and can be easily recoated after that time. 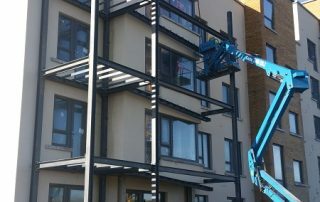 Steel Fabricator: Kevin Cassidy Engineering Ltd. 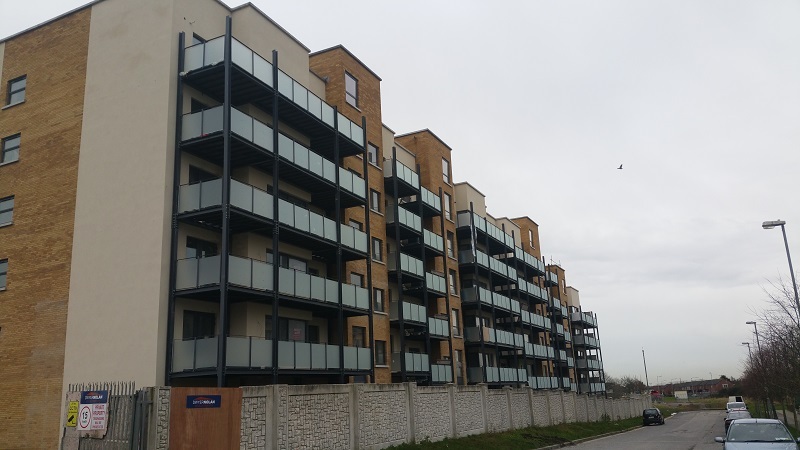 Paint finishes cannot be relied upon on their own as corrosion protection system as tenants may damage it and sideways creep of rust cannot be prevented. 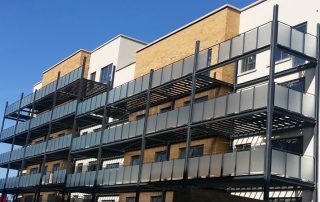 Galvanizing solves this problem and provides reliable corrosion protection should the paint become scratched/damaged.